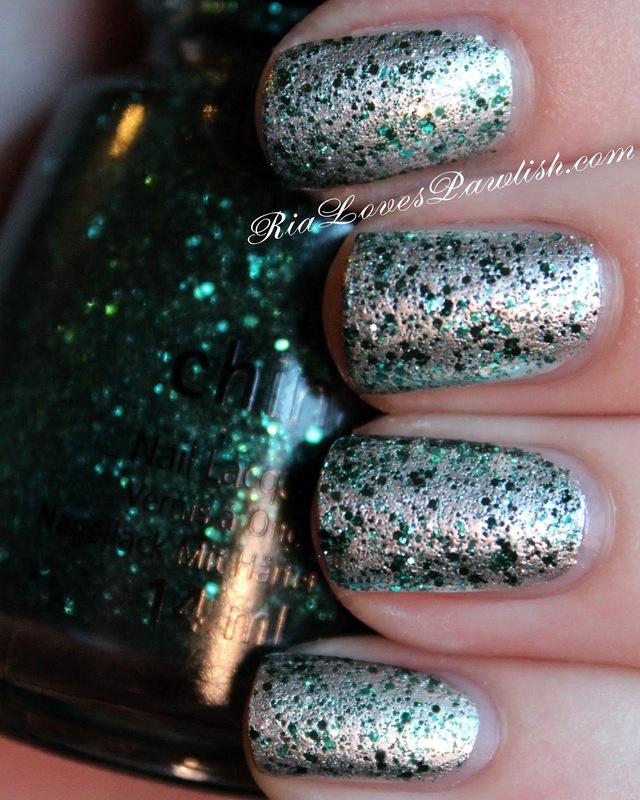 Pine-ing For Glitter is today's China Glaze Twinkle collection polish! (it's a press sample, kindly provided to me for review). it's a green glitter, full of different sizes of small glitter pieces in a clear base. this is one that i think works best as a topper... i love it over silver! i used one coat to achieve the look in the photo below... i really like that amount of coverage. one coat Pine-ing For Glitter over two coats I'd Melt For You, finished off with one coat Salon Perfect Crystal Clear Top Coat. (all are press samples). the pink you see is a reflection, there is no pink in any of these polishes! you can find China Glaze products in salons and professional beauty stores... my favorite place to buy China Glaze is Sally Beauty Supply! Pixi Color of the Month... God Jul! China Glaze Twinkle... No Peeking!